Highlight: Scored on debut for the Wanderers in their Round 17 match against Newcastle Jets, after coming on as a substitute in the 69th minute, he scored immediately with a header from a corner. Description: A pacey winger & forward who had success in the A-League with the Central Coast Mariners before moving to Japan to play with Shimizu S-Pulse for 4 seasons. 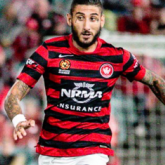 He has earned 4 caps for Australia, scoring 2 goals in the 2013 EAFF East Asian Cup. Ruka played at a World Cup so they aren't quite on the same level. 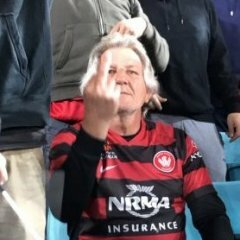 The clip showing how he surprises his parents with his WSW signing...which you may have watched? But how nice is this!! Gives me a good feeling about him! Was on Big Sports Breakfast. The man is positive saying there are 27 points on offer till the end of the season. He also said the team has just got into the habit of losing and he is with us to change that. I suppose VAR changing draws to losses and wins to draws will do that to a team. The man is positive saying there are 27 points on offer till the end of the season. He also said the team has ﻿just got into the habit of losing and he is with us to change that. I suppose VAR changing draws to losses and wins ﻿﻿to draws will do that to a team. Hopefully the men attached to the feathers ruffle off into the sunset. All but confirms what we have been suspecting all along, that several players have stopped caring. Good riddance to this season.